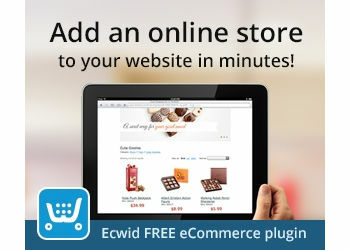 Ecwid Web Shop extensions released. This is a set of extensions for integrating the easy but powerful Ecwid E-Commerce platform. Ecwid is an online e-commerce platform that allows you to add shopping cart functionality to any current site and also get a mobile and Facebook store in one package. You can download the new extension through the Extension Manager (Menu->Tools->Extension Manager->Available). PDF documentation is included in the download.